I'm still getting used to my BlackBerry Q10 camera (thanks to the Verizon Ambassador program) ... The filters already available on it are okay but there isn't a vast selection to choose from. So, I downloaded the Photo Studio app. Eh ... It'll do. 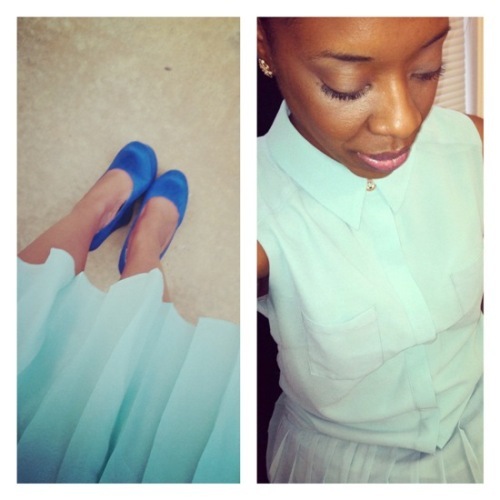 But, I'm having fun today with my trusty PicFrame, this tennis dress of sorts and electric blue wedges. Love. Follow me on IG and Facebook for more of what I'm doing, what I'm wearing, where I'm going and what I'm loving about life!